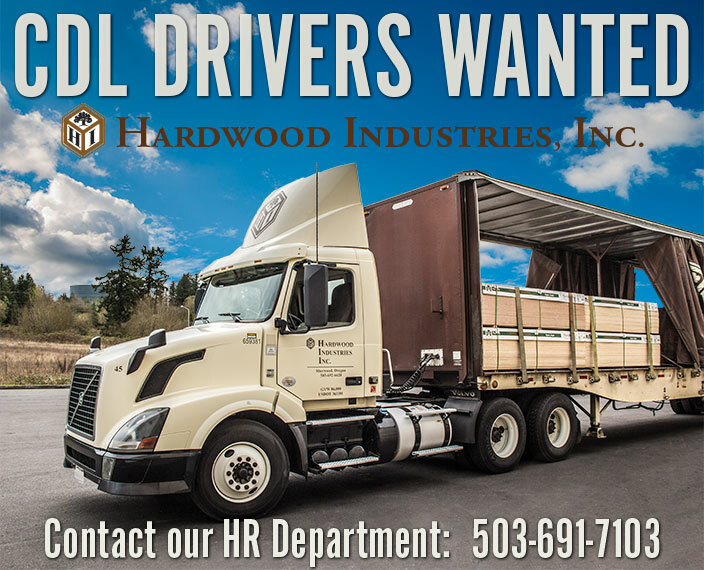 Hardwood Industries | Employment / Careers - DRIVERS WANTED! Contact our HR Department at 503-691-7103 to apply. While Hardwood Industries enjoys low turnover, we are always looking for ambitious, confident, and skilled employees. Our employees find working at Hardwood Industries to be filled with variety and fulfilling. Our employees consistently and constantly strive to improve accuracy and productivity. If you are an employee of Hardwood Industries, we’ll listen to you because you are the one who produces the results and in the best position to help improve what we do. Listening is what takes our employees to the forefront of improving efficiency, productivity, and accuracy. If you have wood working experience, CDL driving skills, inside/outside sales, or related life work knowledge, we are interested in talking to you. Applications are available at all our locations. We encourage interested individuals to forward their resumes with a cover letter by email, mail, or fax. You may contact human resources at (503) 691-7103 with any questions.